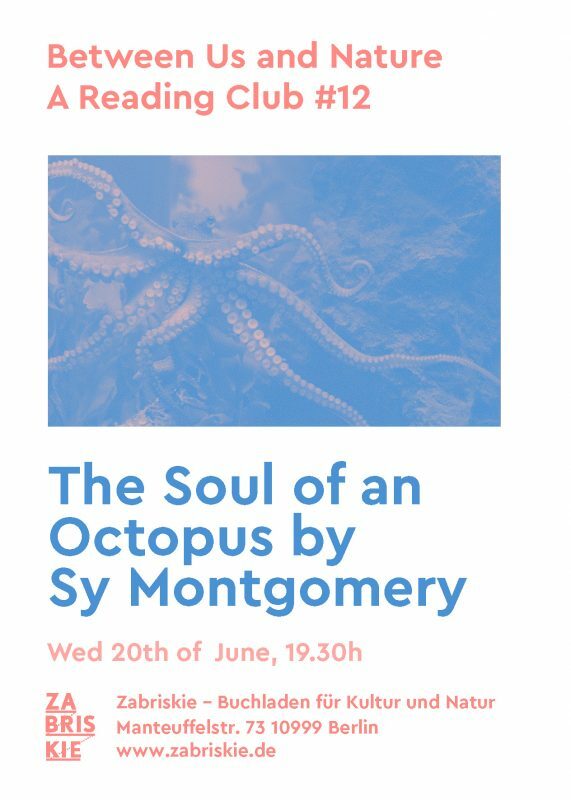 “Sy Montgomery is practicing immersion journalism, from New England aquarium tanks to the reefs of French Polynesia and the Gulf of Mexico, pursuing octopus – those wild, solitary shape-shifters. In ‘Between Us and Nature – A Reading Club’ we read together texts related to natural sciences, art, anthropology, postcolonialism, and (post)anthropocene, chosen from a female perspective looking beyond disciplines. Please rsvp via email to betweenusnature@gmail.com and we will send a selection from the book to those who would like to attend the reading session. Simon & Schuster, Limited, 2015.